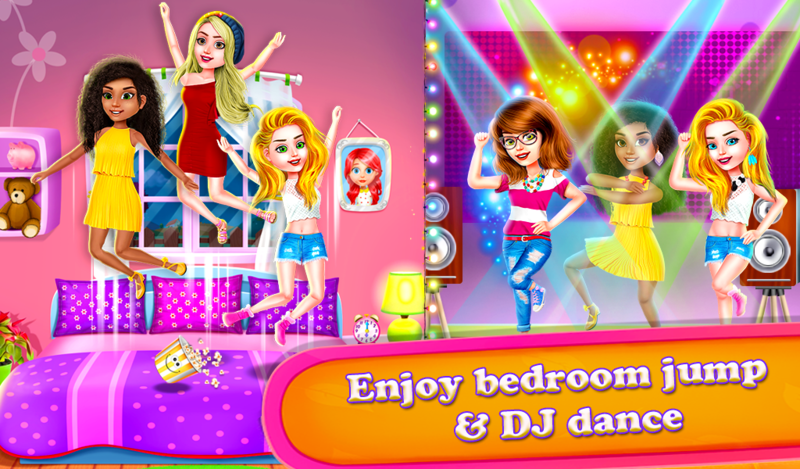 GameiCreate has come up with another fabulous game "Crazy BFF Princess PJ Party". This girls game revolves around four bestfriends. and she organizes an awesome PJ party in this PJ party game. 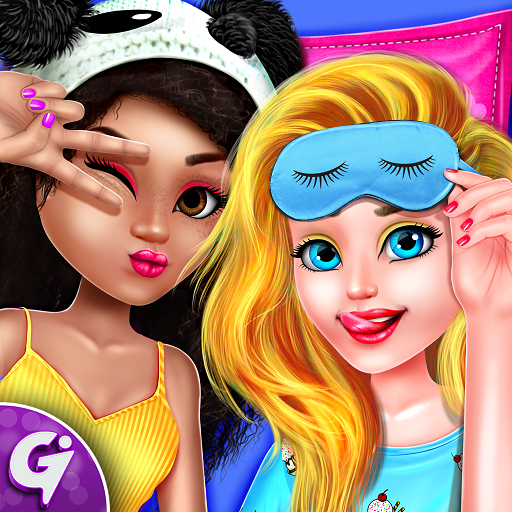 In this girls PJ night game, you will get the chance to choose one character from the four best party friends and then play her role in this night party game. 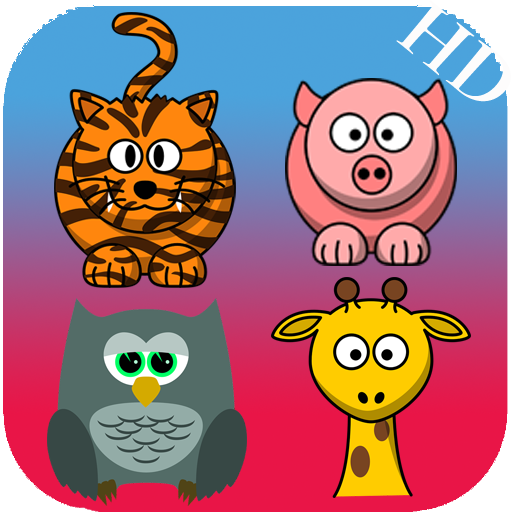 First, you will need to help her in making an attractive invitation card which will be sent to her besties in this card making game. Before the PJ party, your selected girl needs so much help like in face spa game, hair wash game, cleaning the house game and in the dress up game. You need to help her with every task. There will be so much fun waiting in these fun activities. 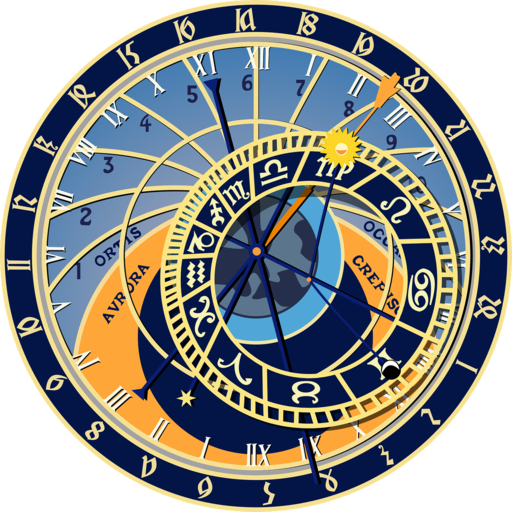 will have also a good time in this night party. 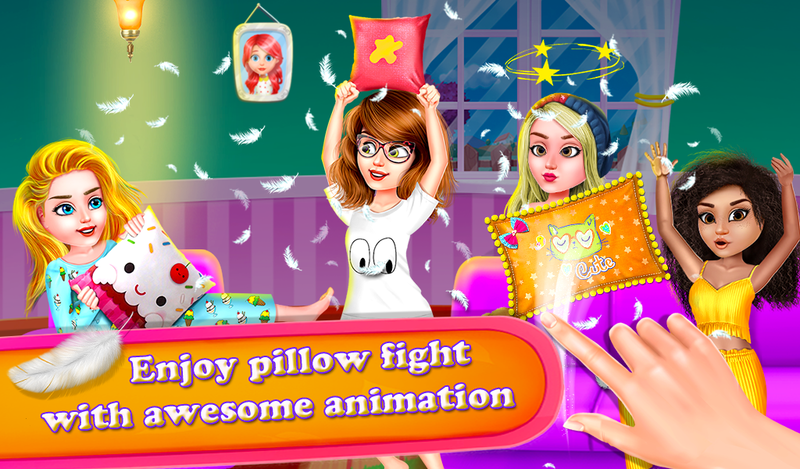 Then crazy BFF girls started pillow fighting which will give you so much enjoyment. PJ night party activities they are going to perform & have lots of fun in this PJ night party game with your friends and family.